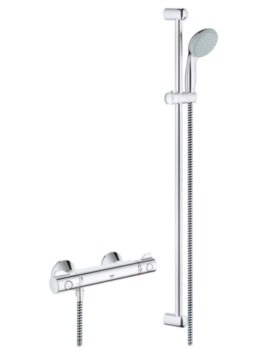 Grohes Grohtherm 2000 New Chrome Concealed Thermostatic Shower Set will amaze you with its multiple features. 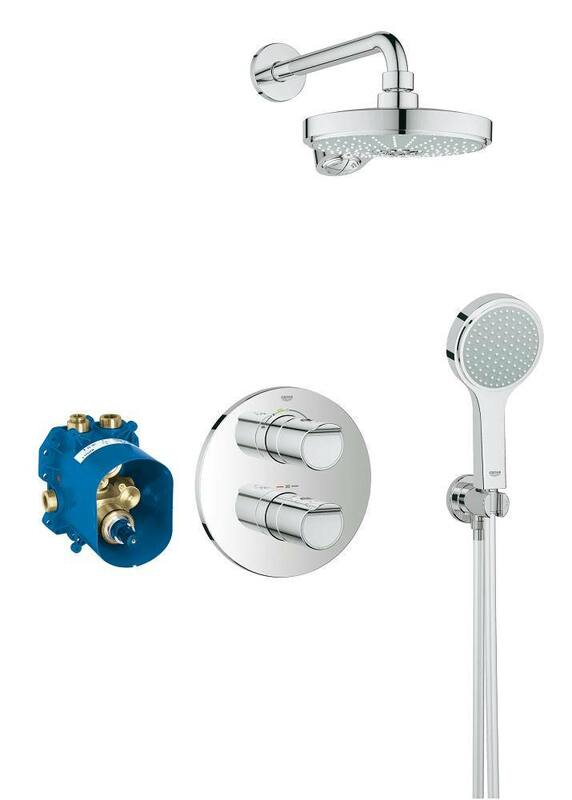 The set consists of Power and Soul shower head with 4 spray patterns, shower arm, Power and Soul Cosmopolitan shower handset, wall connection elbow with shower handset holder and patented Rapido T thermostatic mixer set for final installation. 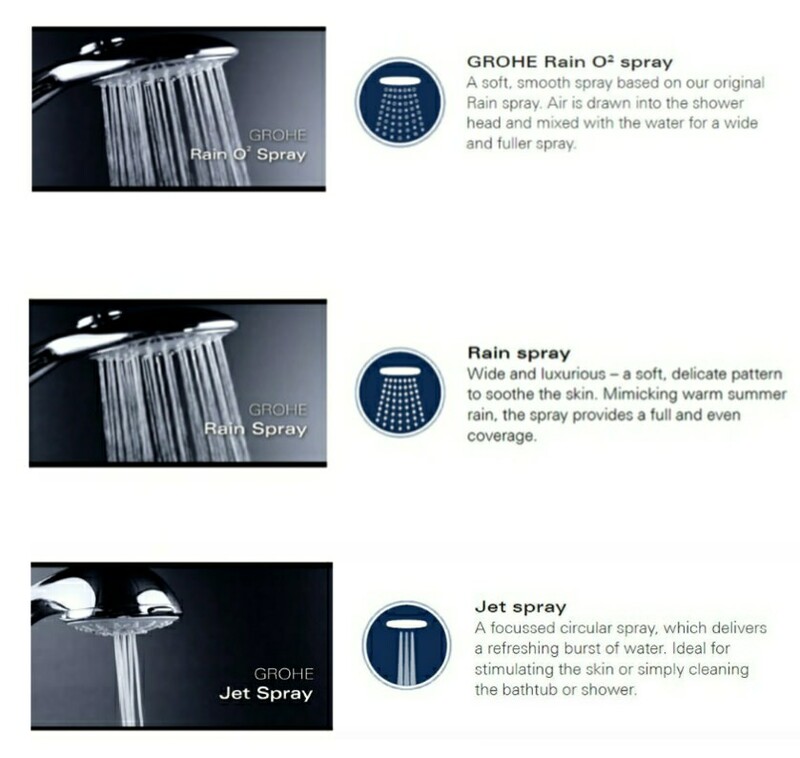 The contemporary shower system is lightweight, handy and finished in chrome, is simple to install and a pleasure to use. 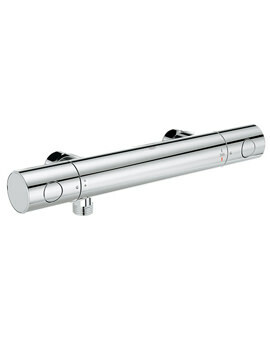 GROHETurboStat helps in controlling and maintaining a soothing water temperature, even during sudden change in water pressure. 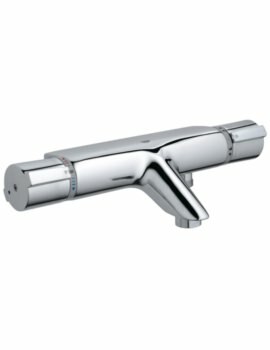 When plumbing in the two top outlets of the concealer valve, can you please advise which outlet goes to the fixed shower head and which one will go to the hand held shower head. 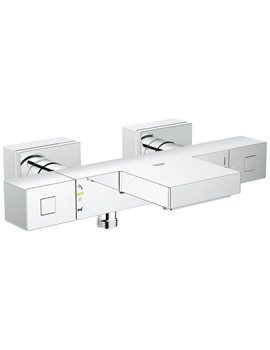 It is recommend that the head shower or bath go on the top left and the next outlet on the top right. 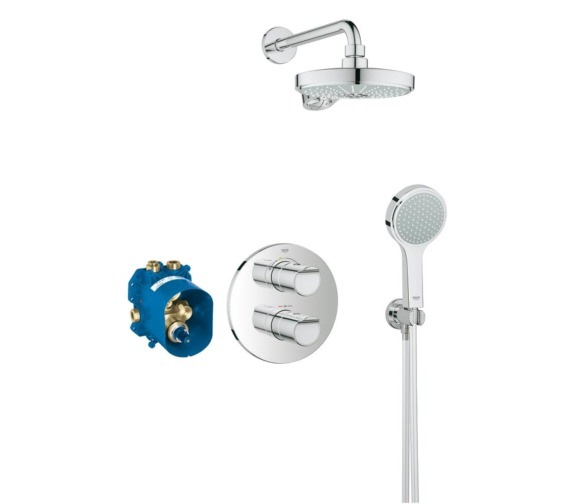 Does this pack include the thermostatic mixer? Is the optional one just an upgrade? 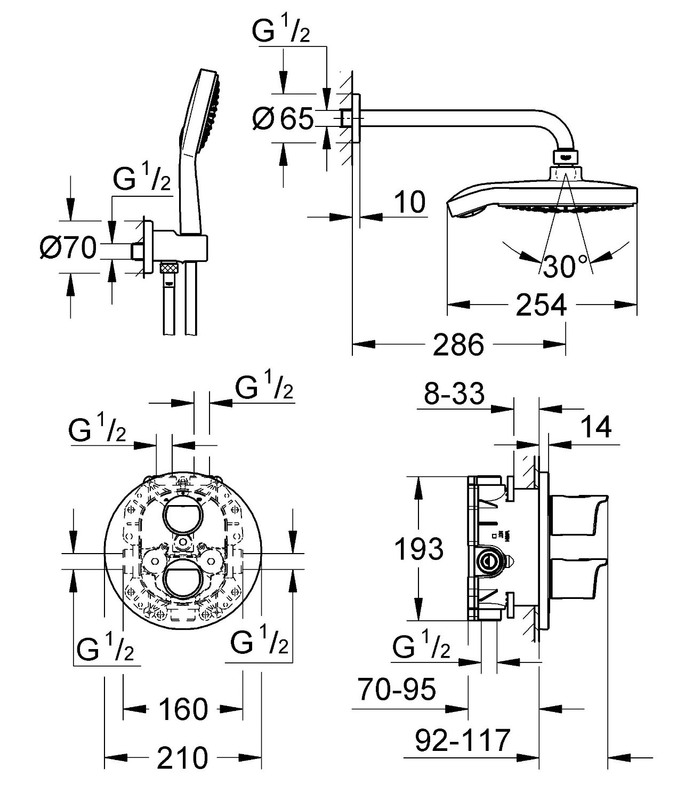 We can confirm that Grohe 34283001 contains all the required valve and parts.